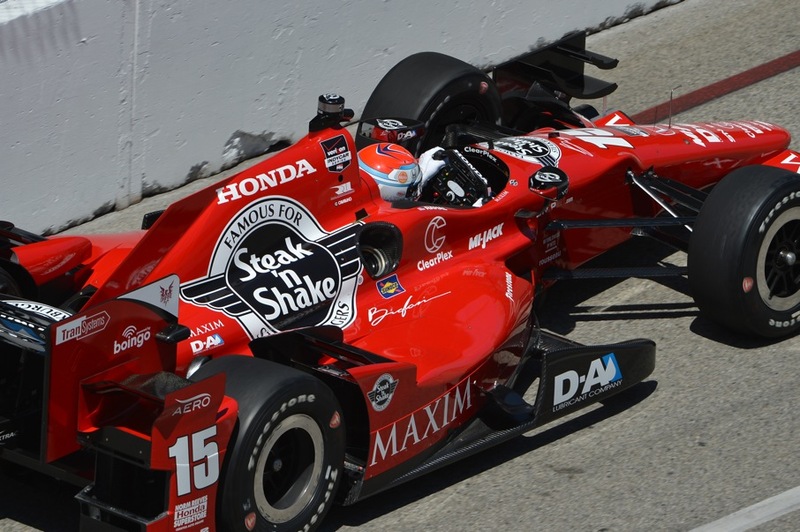 Could branded engines solve IndyCar’s OEM dilemma? A significant part of IndyCar’s growth strategy is securing a third official engine manufacturer (OEM) for the series. Following the disastrous Lotus project in 2012, the championship has been unable to find a replacement. Cost of entry remains high, competition is tight and the net benefits of participation remain debatable. Could a change of approach be the answer to IndyCar’s engine dilemma? Manufacturers are not beating a path to IndyCar’s door to join. Question marks remain over the exposure and value of participation relative to the cost of running a competitive engine project. Big auto manufacturers are not rolling in cash and racing exploits are scrutinized more closely than ever before by the chairman of the board. Just ask the drivers, crew and fans of Audi’s now defunct World Endurance Championship team or VW’s World Rally squad that paid the price of Volkwagen’s diesel emissions scandal. For manufacturers motor sport now sits on the ‘optional extras’ list when doing business. The start-up costs, engineering expertise and resourced required to run an ‘in-house’ engine program like those of Honda and Chevrolet are significant. And any program has to be capable of promoting and not embarrassing a brand. The answer however could lie in IndyCar establishing its own supply of engines that manufacturers and other brands could badge. Does IndyCar need an auto manufacturer to build engines? In world motorsport there are plenty of well-respected engine builders. They have little or no intention of selling road cars – their money is made selling engines for racing. 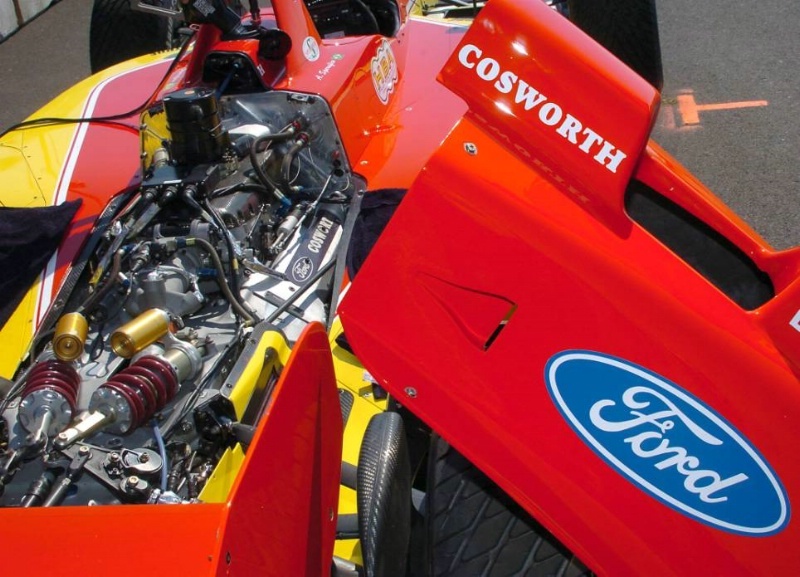 Companies like Cosworth, Gibson and Judd have the technology, skills and manufacturing capability to build engines for everything from Le Mans prototypes to domestic championships. Were IndyCar to reach agreement with one of those engine builders to supply to a third official engine ‘brand’ it could open up a host of opportunities. So who wants to burn a few million each year? From a practical perspective IndyCar would no longer be selling what currently amounts to an invitation to set up and run an engine programme at great cost. That is what IndyCar has effectively been offering to manufacturers it is or has been talking too. Instead they could ‘sell’ a turnkey operation of sorts with lower overall costs and greater flexibility of entry to the championship. The foundation would be the series engaging a Gibson or Cosworth to produce engines in a three-way supply agreement. Flexibility would be one of the first direct benefits as a brand like Mazda for example would cover the Cosworth cost and sell the engines at a partial discount to prospective teams. By comparison the costs to Mazda would be lower than establishing their own operation but still carry the benefits of naming rights and brand exposure. A second and significant advantage would be the scope for diversification of potential partners. IndyCar’s dalliance with aero kits was partly intended to encourage non-motorsport brands in to the series. Instead of the reliance on traditional manufacturers, IndyCar was hoping to work with brands in aeronautics and advanced engineering. Establishing an engine-builder/engine branding partnership could succeed where the aero kits failed. Could Haas Automation for example be tempted in to the series via a badged engine from Cosworth or Judd? Gene Haas has entered F1 in a similar fashion with as close to a customer car as the FIA regulations permit, so why not open wheel in North America with a Dallara-Haas? What happens if Honda/Chevy/both quit IndyCar? Perhaps the greatest advantage would be assuring stability for the series. IndyCar’s prospects are heavily reliant upon decisions made by third parties – chiefly Honda and Chevrolet. Should one decide they have nothing left to gain from IndyCar and leave, what does that mean for the other? There is legitimate concern that the departure of one OEM would send the other for the exit sign. This scenario could leave IndyCar scrabbling for a supply of engines and at least one, if not two OEM’s to cover the supply. The lack of brands lining up to become the third OEM right now implies finding news ones at short notice would be extremely challenging. Establishing a supply deal for badged engines would at least offer IndyCar an option to protect the integrity of the series in multiple scenarios. If Honda pulls out but Chevy does not want to supply the whole field, IndyCar has a back-up plan. If both leave and no established manufacturer steps forward to take over, the series still has a way to keep its cars and races running. It’s not a new idea of course. 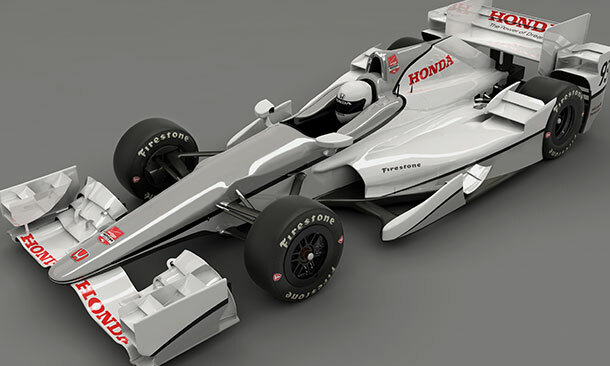 The concept is not new to IndyCar but in this form it is. If you are above a certain age you will remember the John Menard Buick ‘specials’ that powered his drivers at Indianapolis in the 1990s. This is a more sophisticated and longer-term solution. The alternative is long days waiting for Ford or Toyota to call followed by sleepless nights wondering when Honda, Chevy or both might decide to leave.